Apple's iPhone 5 isn't perfect, but it just scored a victory against rival Samsung as tests have shown the phone's screen to be superior to the Super AMOLED HD tech on offer in the rival Samsung Galaxy S3. DisplayMate, which ran the display tests, said Apple has, somewhat uncharacteristically, "categorically understated" how much better the new 326 ppi, 1136 x 640 Retina display is, compared with the iPhone 4 and iPhone 4S. Close examination found that screen reflectance levels had "decreased substantially" and were among the lowest the site had ever recorded on a mobile device. The iPhone 5 also boasts the brightest smartphone screen the site has ever tested, while it also has the highest "Contrast Rating for High Ambient Light" on any mobile device. 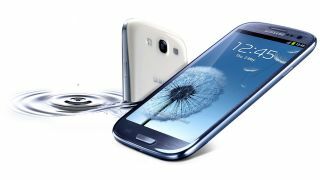 The Samsung Galaxy S3, on the other hand, is held back somewhat by the newness of the OLED technology, which DisplayMate said has "not yet been refined to the same degree as LCDs." The test revealed that the brightness of the S3's screen "is about half of the iPhone 5 due to power constraints resulting from the lower OLED power efficiency and concerns regarding premature OLED aging." "As a result," the report continued, "the image contrast and screen readability in high ambient lighting is much poorer than the iPhone 5." The site advises Samsung to keep working on developing its own "promising" OLED technology, while pointing out that the iPhone 5's Retina Display is "not perfect and there is plenty of room for improvements." On that note, who's looking forward to the iPhone 6 and the Samsung Galaxy S4?